These started appearing a couple of weeks ago. 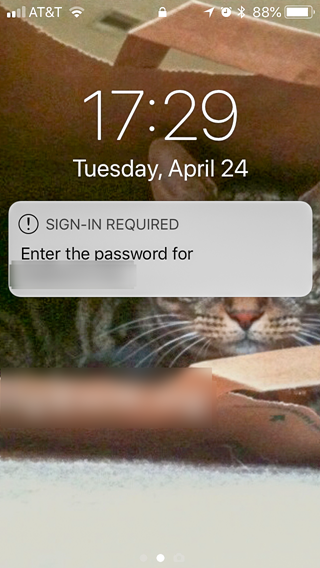 The prompt dialogs have no identifying information to tell me who's asking, so I'm not about to enter my Apple password until I know who's asking and why. I have correlated these to having one specific app either running or configured for background refresh. If the app is closed and background refresh is disabled, I do not seem to get the prompts. So, something, possibly related to Appigo ToDo Cloud, is asking for my APPLE password. Question(s): Given a password prompt dialog, is there any way to determine the source of the request, and the reason for the request? What else could be causing iOS to be prompting for my Apple password at random times? iCloud is different from the other synchronization services supported by Todo in that Todo does not actively control when synchronization takes place. When you make changes to your tasks Todo flags its data as having changed; iCloud watches for this flag and synchronizes as needed. In short, while Todo can inform iCloud that it needs to be synchronized, it cannot start or control an active synchronization. I think that ToDo needs you to manually login to iCloud, which uses your Apple ID for authentication, to sync because the saved password is incorrect. Perhaps you need to reconfirm the login credentials within the ToDo app so it syncs correctly. Not the answer you're looking for? 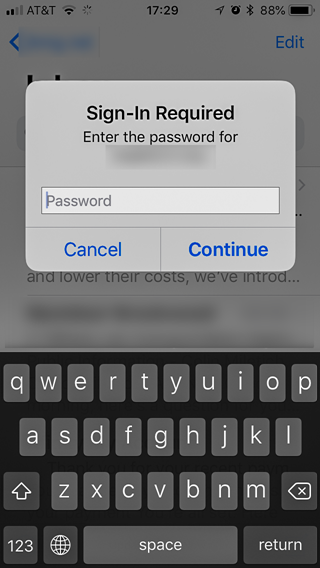 Browse other questions tagged ios apple-id password dialog . 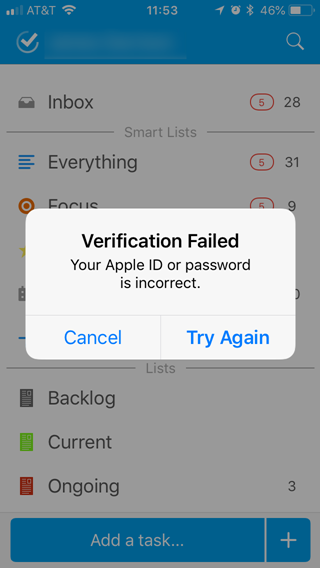 Why does my iPhone keep prompting me for my Apple ID? Possible to reset Keychain password without knowing the old password? Why did Apple decide to lock my account and force me to change the password?